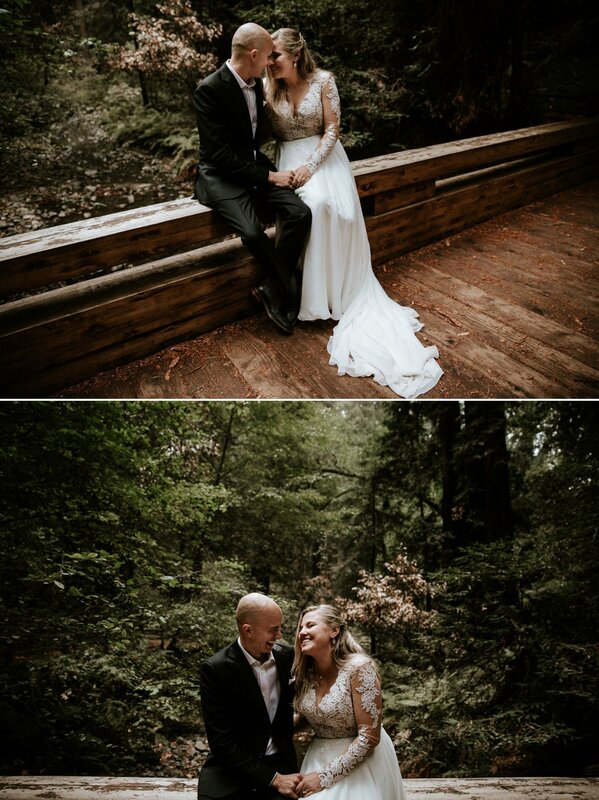 Last fall, I traveled to San Francisco to document Hannah & Nick’s intimate wedding in the Muir Woods. 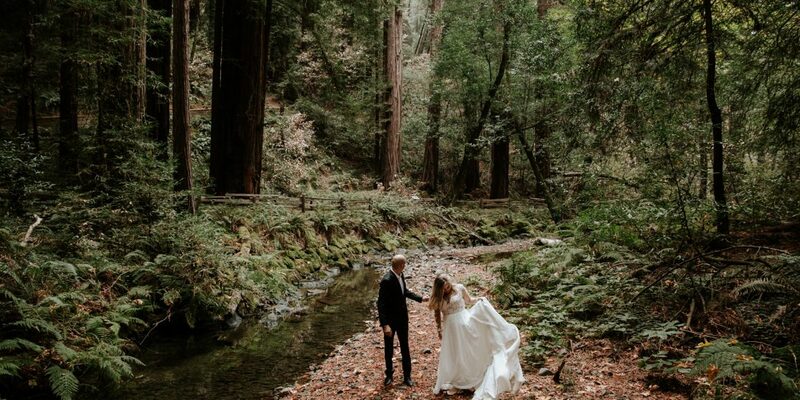 These two came all the way from Missouri to exchange vows under the towering California redwoods. With only 13 of their closest family members and friends in attendance, it was a day to remember. 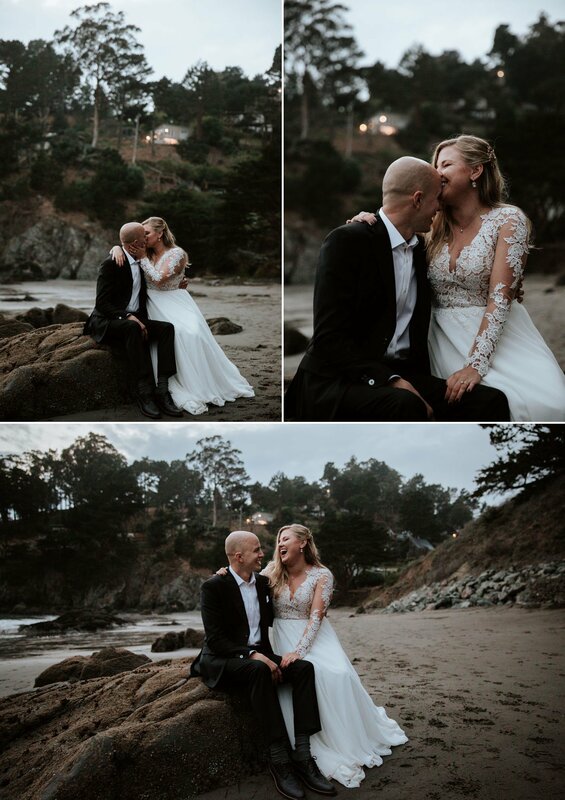 Hannah and Nick rented two Airbnbs along Muir Beach to host everyone. That morning, the skies were overcast and a thick marine layer hung over the ocean. 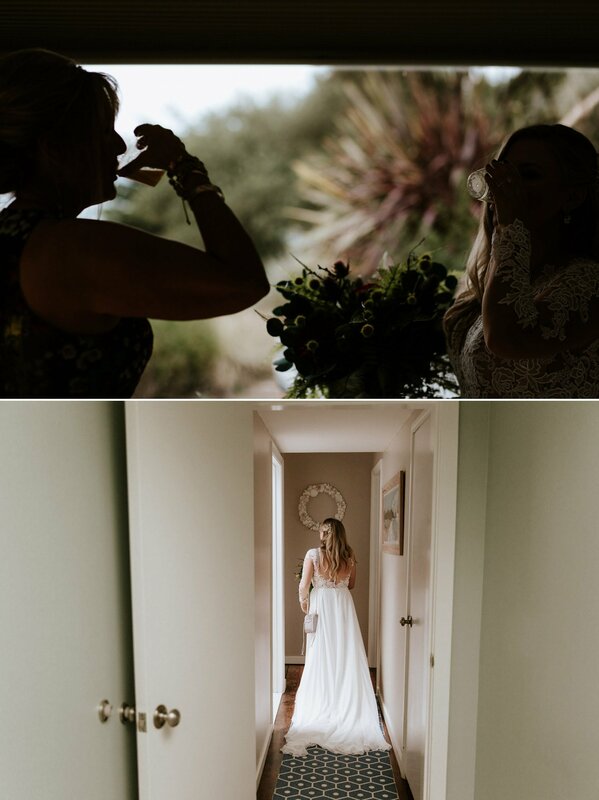 Hannah and Nick prepared for the day in separate houses, anticipating their private (and epic) first look by the coast. 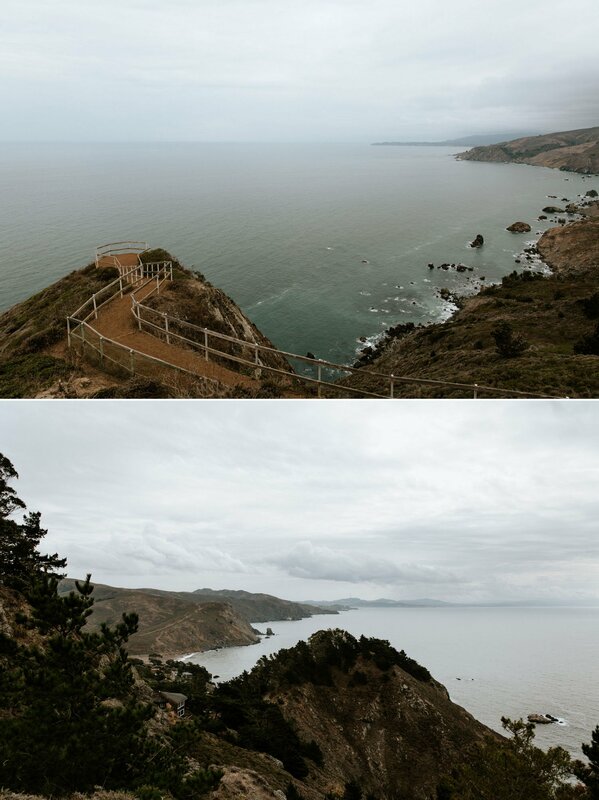 Nick arrived at Muir Beach Overlook first and waited for Hannah at the furthest point. The wind pulled at Hannah’s hair and billowed out her dress as she made her way down the steps to Nick. He lost it as soon as she tapped him on the shoulder. Behind them, you can make out the etched words “Grateful for Everything” carved into the fence post (nailed it). We took a few more intimate portraits along the bluffs, then headed into the woods. 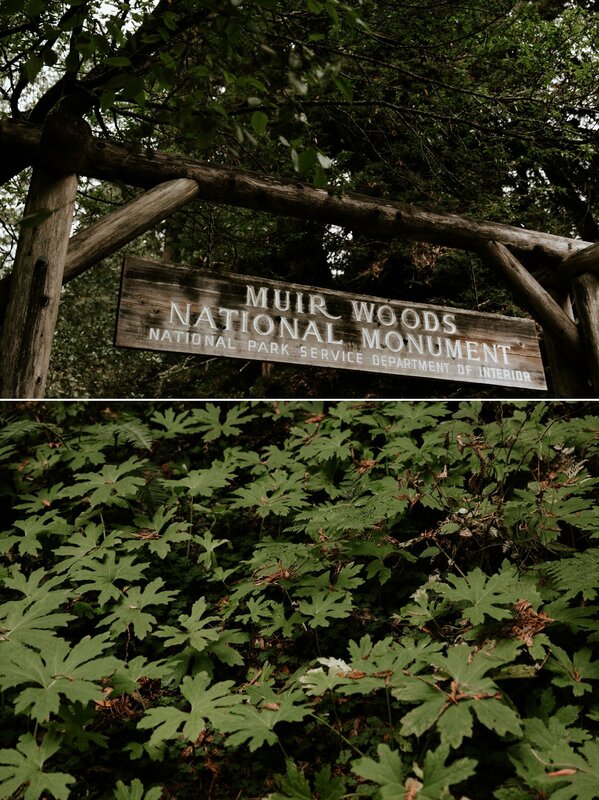 As we walked up to the entrance of the Muir Woods, Hannah and Nick’s family greeted us enthusiastically. 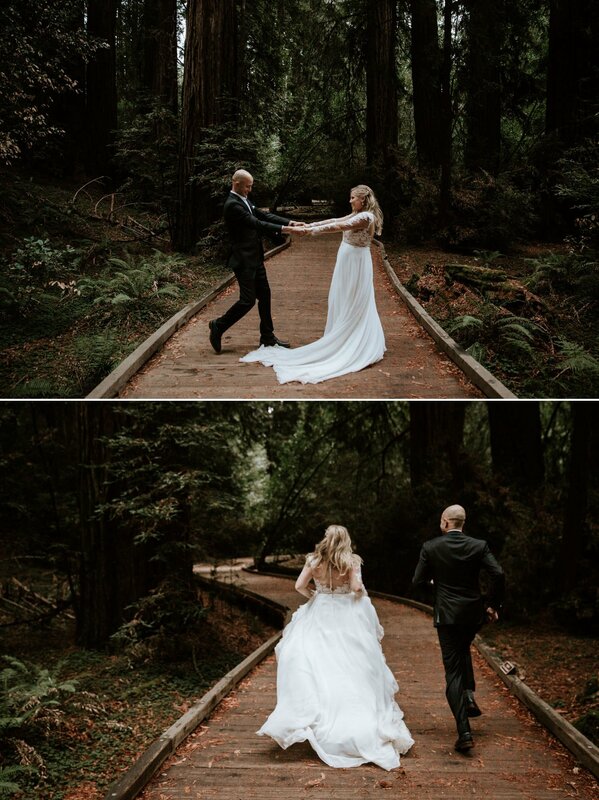 Their officiant, Rick, led us down the winding wood path into the Cathedral Grove. 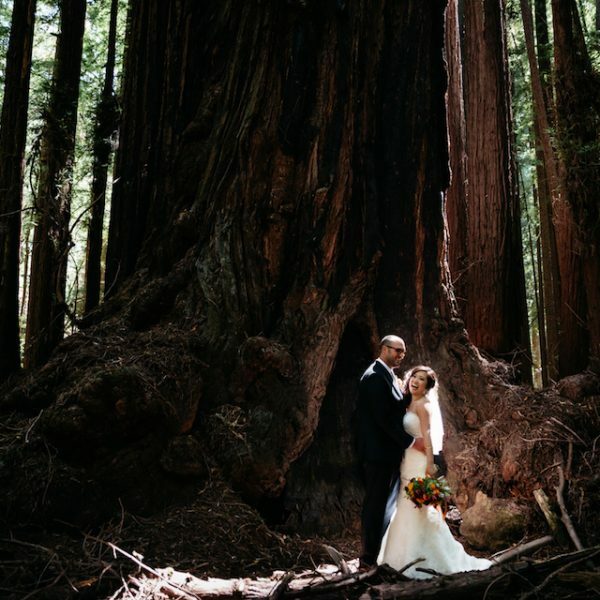 We chose the most magnificent hollowed-out redwood to be their altar. With all of us circled around them and the giant redwoods looming above us, Hannah and Nick were wed.
After the ceremony, we took a few group shots before excusing everyone to cocktail hour. We spent the next hour wandering into the depths of the woods for their couple portraits. Hannah and Nick passed a heart-shaped flask to each other full of vodka to settle their nerves. They couldn’t stop giggling whenever they caught the other’s eyes. Everyone clapped when Hannah and Nick made their entrance back at the beach house. 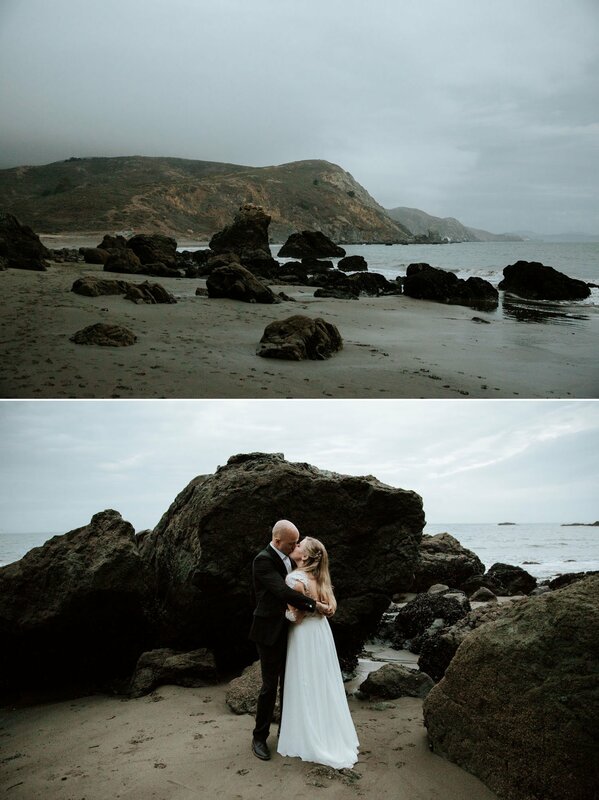 We all grabbed a drink and headed down to Muir Beach to share a toast in the fading light. In lieu of a sunset, the sky slowly transitioned from grey to blue. Despite the moody atmosphere, this day was light-hearted and chalk full of joyful moments. Hannah & Nick- Thank you for welcoming me and Andrew into your tribe. We are so happy for you and honored we got to be a part of this day! 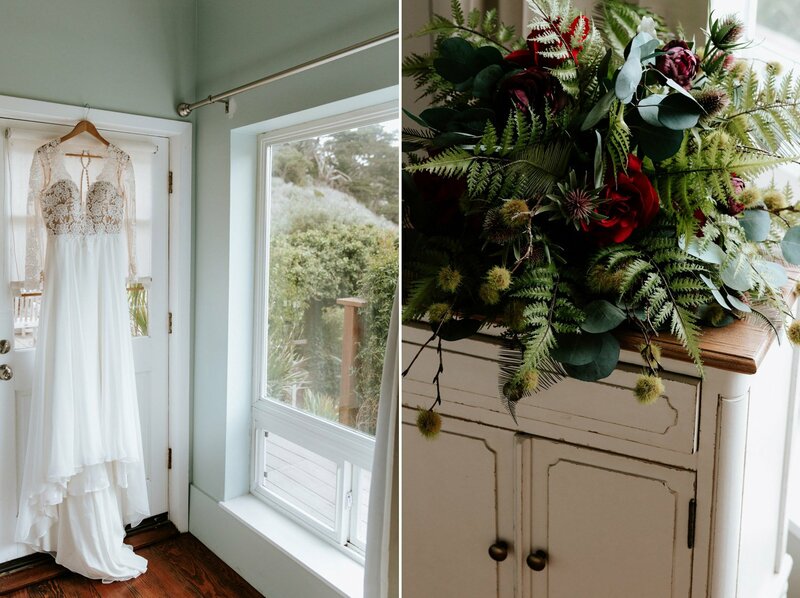 If you loved this redwood wedding, I recommend browsing through Kaitlyn & Matt’s Big Sur wedding or Hannah & Rocky’s Henry Cowell wedding. Hi! So I will be getting married in exactly one month. 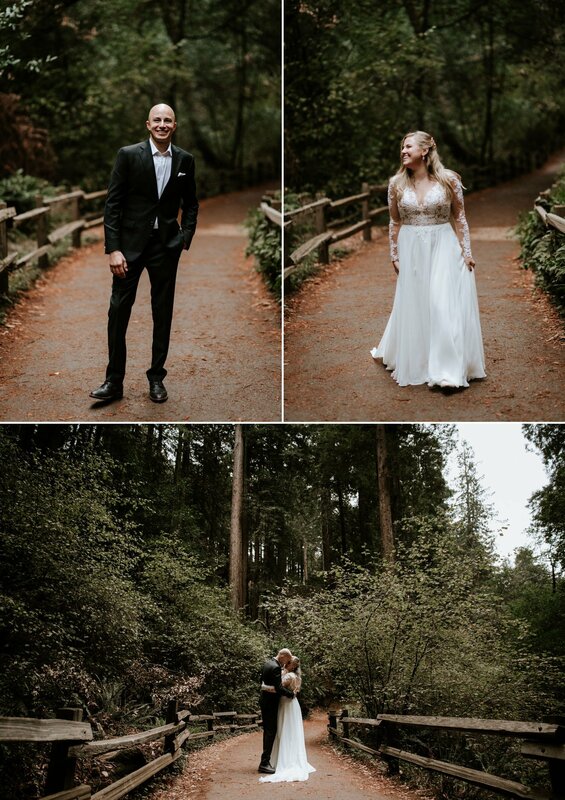 I do already have a photographer, but just came across your site when looking for redwoods elopements. 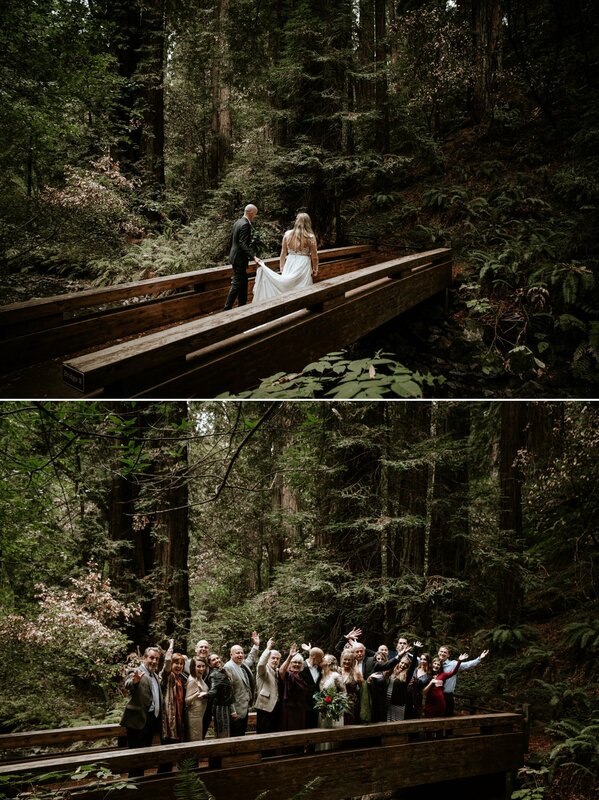 I absolutely LOVE the images from the wedding you did in Muir Woods and this is exactly what we are wanting to do. We have been told though that we cannot get a permit for a wedding on Nov. 24th. I was hoping that you might have some insight into how this couple went about getting married there. Did they have a permit or did they just show up? I would greatly appreciate any insight you might have. And your images are lovely. 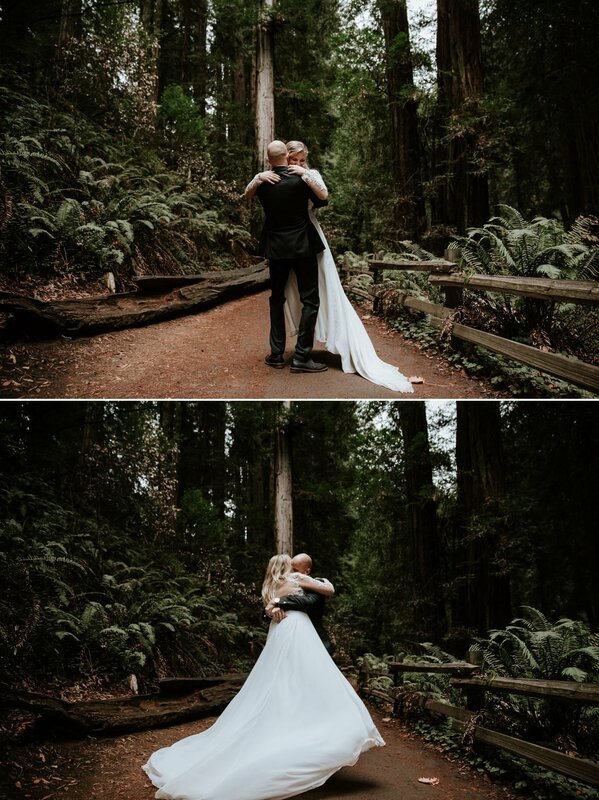 I also happen to be a wedding photographer and ever since going to Muir woods several years ago, knew that this was what I wanted my own wedding pictures to look like. Thanks for any help! Thanks for your message and kind words! 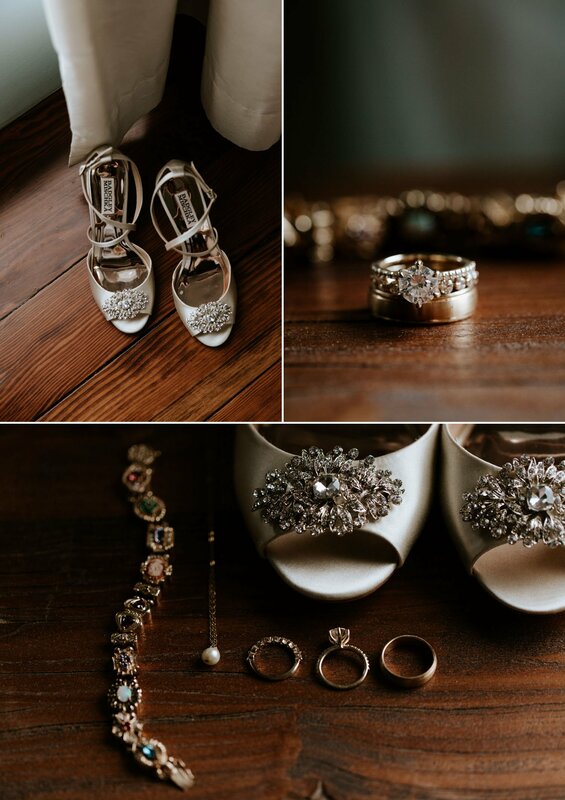 I wasn't involved in the details of planning, but I'm 100% certain my couple had a permit for their ceremony. I know it is absolutely necessary to have a permit when having a ceremony inside of a National Park or monument. There are only certain designated areas of the park available, as the park rangers are trying to protect the natural environment. I think the processing takes a minimum of 3 months, which is likely why they're telling you this. I believe they've also started implementing a shuttle system to move wedding guests (and keep the parking lot open for visitors). I hope you can resolve it!